The LECOM Institute for Advanced Wound Care and Hyperbaric Medicine at Millcreek Community Hospital brings to the community state-of-the-art treatment and protocols to treat chronic wounds including hyperbaric oxygen therapy, negative pressure therapies, bioengineered tissues and biosynthetics. In the United States, chronic wounds affect millions of patients. At our Healogics Wound Care Center, we treat these wounds and work to prevent reoccurrence by correcting contributing factors such as controlling infection and enhancing medical and nutritional status. The LECOM Institute for Advanced Wound Care and Hyperbaric Medicine is providing safe, high quality wound care is our top priority. Advanced treatments include: hyperbaric oxygen, negative pressure wound therapy, total contact casting, sharp debridement, bioengineered tissues and more! We will work with you to create a customized treatment plan and keep your family doctor informed of how your wound is doing. The Institute’s team of physicians include: Dr. Hansen, Certified Wound Specialist; Dr. Fronzaglia; Dr. Rohrbach; Dr. Kiessling; Dr. Habusta Dr. Lee. The clinical nurse manger is Wound Care Certified, Advanced Certified Hyperbaric Registered Nurse. There is also an HBO tech who is a Certified Hyperbaric Technician. 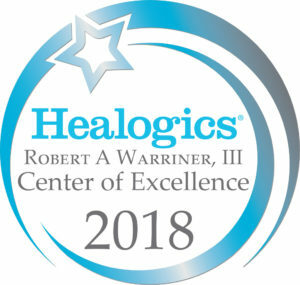 The Wound Center was awarded Center of Distinction in 2014, and 2016, Center of Excellence in 2017 and 2018. Let us help you get back to the life you love. We participate with all major insurance plans. Call (814) 868-3999 for more information. Scheduling new patients within 3 business days!